It was “coming soon” now it is available, Porsche 718 GTS grille. If you are a car lover, then you would understand the importance of adding custom grilles to your ride. It not only sets it apart from the crowd, but it also protects its internals from debris and foliage. Here are some unique features of these latest GTS grille custom models. The Zunsport’s brand new-grilles provide an excellent way of improving the style of your ride without compromising its performance. Though subtle, the stylish finishing of these grilles is noticeable by anyone with an eye for class and style. 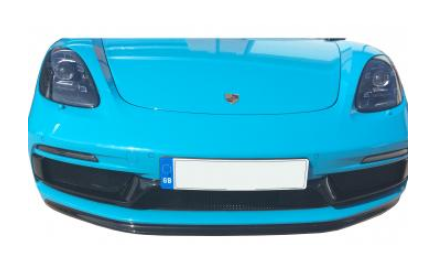 Like all Zunsport custom grilles, the Porsche 716 GTS grilles are made of the high-quality 316L stainless steel. The woven wire mesh fits seamlessly with the design of the Porsche 718 Boxster or the Cayman GTS. The design and production of these custom-made grilles involve the use of top-notch expertise. Consequently, they can last the entire lifespan of your Porsche. The stainless steel grille also comes with the means of installation on the car. Such eliminates the need for the replacement of any part. All you need is a screwdriver and expertise on how to use it. The Porsche 718 GTS is available as a full set that comprises the outer, lower and front grilles. You can buy the set once for a complete revamp of your ride’s outlook. You can also purchase individual sets and add the rest later. There is no significant advantage of buying the whole set at once saving a few bucks. Any vehicle worth buying deserves some extra service of love. One such service is an elegant quality custom grille. Visit any of our stores near you for the latest Porsche 718 GTS grilles.